Raids were also conducted at Nabarangpur and Bhawanipatna centres of the NGO which hadn't been registered in the state. DHENKANAL: All 25 branches of Good News India Dream Centre in the State were operating without registration under JJ Act. This startling information was revealed by chairman of the centre Faiz Rehman who is being grilled by the police for the last two days. Rehman, who was taken on a two-day remand by the cops on Tuesday, has further revealed that the shelter homes, including the one in Dhenkanal, were operating with funds from the US and Canada transferred through a private bank in Odisha. The centre’s first shelter home came up in West Bengal in 1994, Subsequently, the organisation spread its wings in Odisha and Jharkhand. The centre received children in need of care and protection and sent them to its many shelter homes. A total 33 branches of Good News India Dream Centre were operating in three States, disclosed Rehman during the police interrogation.So far, police have been able to trace the accounts through which around Rs 14-Rs 15 crore were sent to the centre’s branches in Odisha. Other details of the accounts and audit report are being verified. Police sources said the chairman denied to have carried out religious conversion of the children or people working in the centre. On Wednesday, police grilled the caretaker of Beltikri shelter home Simanchal Naik. During his custodial interrogation, Naik reportedly disclosed various startling facts about management of the illegal shelter home and activities of Rahman during his stay at the centre. Dhenkanal SP Santosh Kumar Nayak said the shelter home land at Beltikiri was purchased in the name of Naik and its building was constructed one and half years back. “The district police is waiting for the approval of higher officials to send a team to West Bengal to unravel more facts relating to the centre’s registration and management,” he said. As many as 10 children of Dhenkanal and Keonjhar were handed over to their parents on Wednesday. Four other children from Gajapati and Jajpur were also sent back to their parents with the consent of the district Child Welfare Committee. A total of 80 children had been rescued from the illegal shelter home at Beltikiri. Nabarangpur/Bhawanipatna: A team of officials led by ADM Parikhita Sethi and District Child Protection Officer Suresh Patnaik sealed the Good News India Dream Centre at Sanokumuli village in Nabarangpur district on Wednesday. Patnaik said they inspected the centre and recorded statements of students staying there. It had 127 inmates including 76 girls. The centre was running without registration from 2009 to 2015. 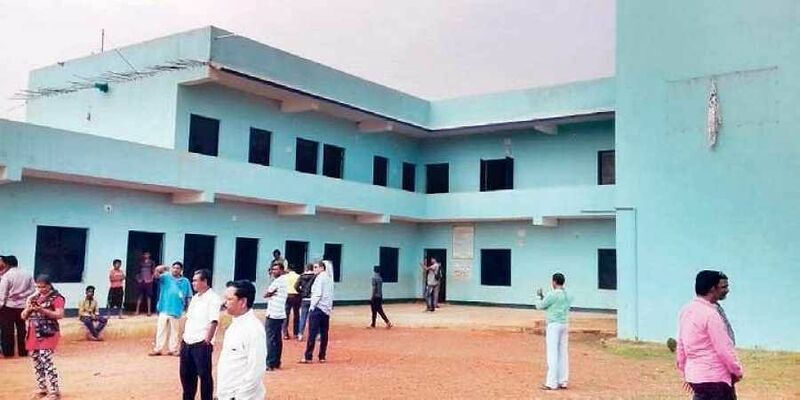 In Bhawanipatna, the Good News India Dream Centre at Dengsargi village in Narla block was closed down in October as permission to run a hostel was denied by district level project approval committee. There were 23 boys and 37 girls in the age group of six to 18 in the centre which was registered under Juvenile Justice Act. Sources said over unknown reasons, the centre officials were reluctant to run a free registered shelter home and instead, requested the authorities concerned for permission to open a hostel where inmates would have to pay fees. On Tuesday, the administrative officials raided the centre but found no inmates in it. Apart from this centre, the officials raided 11 other child care centres and two adoption agencies registered under Juvenile Justice Act.